Written In The Stars: Celebs Who Use Mystical Methods To Figure Out Life. 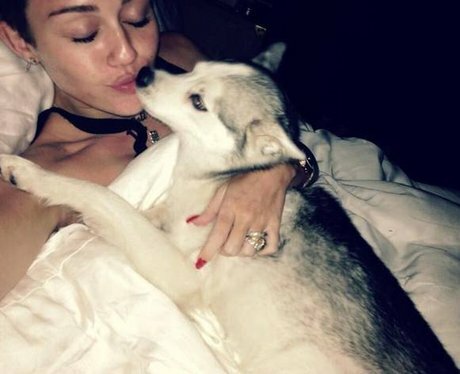 We all know Miley Cyrus is a bit kooky, but the 'We Can't Stop' hitmaker reportedly used a medium to get in contact with her dog Floyd after he passed away last year. Speaking on the singer's turmoil over her loss, Hollywood animal medium Melissa Bacelar revealed Miley felt "a huge amount of guilt" after her pooch died, adding: “I connect with the dog telepathically. Some will give me actual words but, most of the time, I will get images and feelings, which I then pass on to the owners." See the full gallery: Written In The Stars: Celebs Who Use Mystical Methods To Figure Out Life.